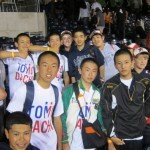 The TOMODACHI San Diego-Tijuana-Ofunato Youth Baseball Exchange Program is a reciprocal baseball exchange between San Diego, California and Ofunato, Iwate prefecture. 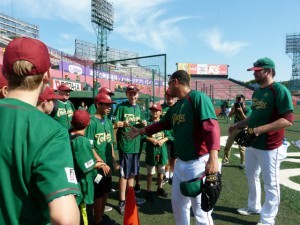 The program takes middle school baseball players to meet with their counterparts to take part in homestays and baseball training sessions. Furthermore, there is a community service project involved in the program. 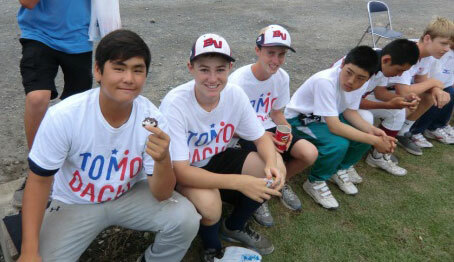 The San Diego/Tijuana-Ofunato Youth Baseball Exchange Program is a reciprocal exchange between youth from San Diego, California and Ofunato, Iwate. Youth baseball players from San Diego will travel to Ofunato for a week of baseball games, home stays, and cultural activities. San Diego players will stay with and/or visit with the same Ofunato players who came to San Diego in the summer of 2015. From August 4th-12th, ten middle school baseball players Ofunato, Iwate will travel to San Diego, California on this reciprocal baseball exchange program. From July 31st – August 9th 2014, the TOMODACHI San Diego Ofunato Youth Baseball Exchange Program, implemented by the Japan America Society of San Diego & Tijuana and supported by the National Association of Japan America Societies (NAJAS) brought ten middle school baseball players from San Diego to Ofunato to meet with their Japanese counterparts who came to the States last year. Together, they took part in homestays and training sessions that culminated in tournament hosted in Ofunato City by the Bobby Valentine Sports Academy, with Bobby Valentine himself. The tournament was a perfect show of baseball diplomacy at its best as players from both countries attended. From Japan, students from the three Tohoku prefectures most affected by the Great East Japan Earthquake and Tsunami of 2011 – Fukushima, Miyagi, and Iwate – were in attendance. From the United States, the players from Connected represented the East Coast and our players from San Diego represented the West. The group also visited Rikuzentakata to pay respects to the Miracle Pine, heard about 3.11 from their Japanese counterparts at Ryori Middle School, and toured Ofunato Bay to see the construction of the new seawall. 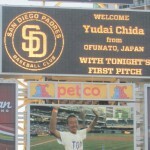 The Japan Society of San Diego & Tijuana partnered with the TOMODACHI Initiative to send 10 middle school baseball players from Ofunato, Japan, to San Diego, CA for a baseball clinic from August 2- August 10, 2013. During their time in San Diego, the players stayed with host families, attended Major League baseball games, and visited local tourist attractions. This program provided an intercultural experience for American and Japanese youths and encouraged them to learn about each other and their respective cultures through the game of baseball.